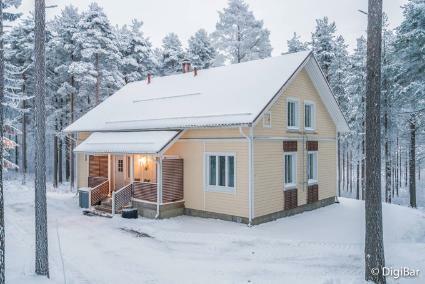 This holiday house in the Haapalanlahti area in Sotkamo was completed in 2008. 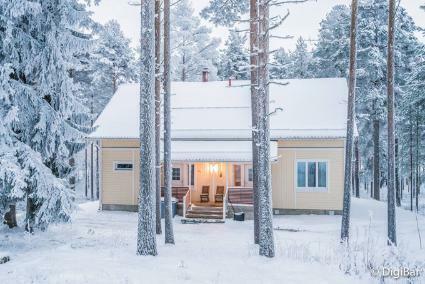 Located near by the lake Iso-Sapsojärvi (200 m): swimming place, campfire place and boat are shared with two other cottages. 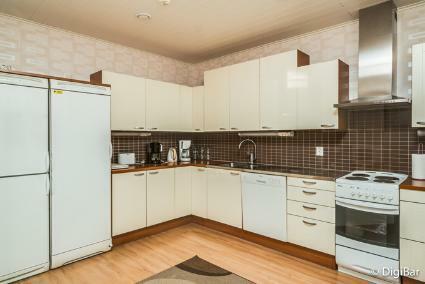 Floor area 188 m², incl. upstairs 65 m². 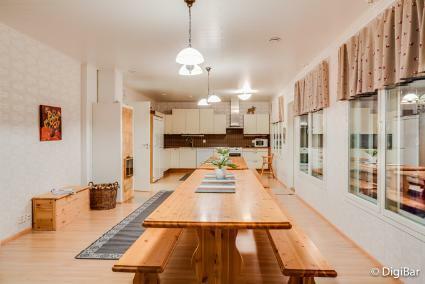 On the ground floor there is combined living room & kitchen, two bedrooms, both with beds for two, toilet. 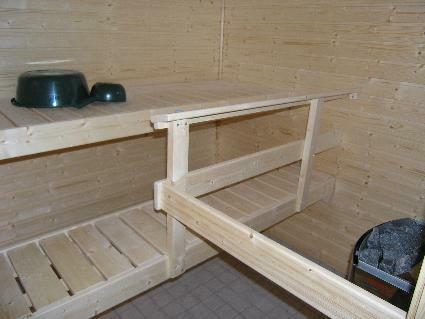 Sauna (electric heating), washroom. Upstairs there are four bedrooms, two of them with 2 bunkbeds and two with beds for three, two toilets. Sofa bed in loft vestibule. Veranda. Gas grill use on summertime. Bookings max for 10 persons, -15 % discount of prices - please contact to Lomarengas sales office! Kajaani 37 km, Sotkamo 4 km. Vuokatti ski slope 5 km, cross country track 100 m. Lake 300 m. Cleaning not included. Internet-connection (wireless, speed 1 Mb). Pets are allowed.